The Manor on Golden Pond is teaming up with the Boston Wine School on Novemeber 9, 2013 to expand guests’ wine knowledge and please their palates. The Wine Dinner will feature a wine class, led by Jonathon Alsop, founder of the Boston Wine School and accomplished teacher, author and wine writer. Following the class will be a delectable five-course wine pairing dinner, prepared by Manor Executive Chef Peter Sheedy. The event will start at 6:30 p.m. with Hors d’oeuvres and canapés paired with NV Gloria Ferrer Brut. At 7 p.m., Alsop will begin the wine class, sharing his wine knowledge while guests sample three different wines. Following the class, guests will enjoy a five-course dinner. Heirloom apple buckle with vanilla sauce and a cranberry and ginger compote. The cost is $115 per person, which includes the wine class, dinner, gratuity and taxes. Advanced reservations are required as seating is limited. Any guests wishing to stay at the Manor will receive a 30% discount off of the inn’s regular winter best available rates, but rooms need to be booked in advance. Reservations for the Wine Dinner and accommodations can be made by calling (603) 968-3348 or (800) 545-2141. Where travelers once held photos of Flat Stanley in unusual places, photographers now shoot photos of a humble red chair. Long considered simply a place to rest one’s buttocks, the lowly wooden chair has been elevated to celebrity status, and is being welcomed at inns and B&B throughout New England. It’s all part of a consciousness raising experiment among New England innkeepers, and soon the chair is making its way to Holderness and the Manor on Golden Pond. Look for innkeepers shooting images of the Red Chair at the Manor on Golden Pond. Throughout the spring, the Red Chair developed a personality of its own being photographed by innkeepers in communities from one end of Cape Cod to the other. Follow the Red Chair’s travels on www.RedChairTravels.com where inspiring photos of the Red Chair can be seen from beaches to bandstands. Throughout late summer and fall photos and stories from the Red Chair’s journey to Rhode Island, Maine, New Hampshire, Vermont, Massachusetts and Connecticut will be added to the website as they are captured. It all started last winter with a single image. Woods Hole Inn innkeeper Beth Colt posted a picture on Facebook of her simple red chair perched on the ice behind her house and watched her page light up with “likes.” The picture was shared on the Facebook page of Julie Ann Cromer, a photographer from Santa Barbara, CA, who was inspired by the image to visit the Woods Hole Inn. Julie’s visit resulted in a beautiful photo of the chair on Nobska Beach now hanging at the Woods Hole Inn. Colt blogged about the chair and soon interested fans were asking for more. This inspired Colt to share the chair with other innkeepers, sending it on a journey through towns and villages throughout Cape Cod last spring. As innkeepers all over the Cape were inspired by the chair it has taken on a personality of its own. Stories from the Red Chair’s travels have been chronicled on blogs at each stop. Look for tales of the Red Chair’s travels to the Manor on Golden Pond on https://manorongoldenpond.wordpress.com/#. For a compilation of these blogs, visit http://www.redchairtravels.com/blog.html. For a complete view of Red Chair photos, visit http://www.redchairtravels.com/red-chair-photos.html and get ready to be inspired. Stay updated at www.redchairtravels.com. 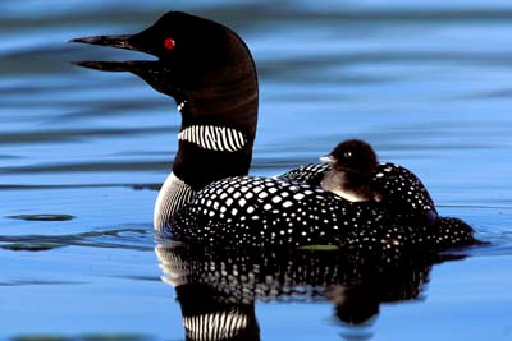 Here are some fun facts about our beloved Loons that grace Squam Lake in New Hampshire during the summer months and allow us into their world for a short time. Loons are generally solitary birds. However, they will sometimes gather for short periods in small groups of up to 20 birds in late summer and fall. The common loon has four calls. The tremolo, which sounds a bit like maniacal laughter, is an aggressive call. The wail is a long, drawn-out sound. The hoot, a shorter call, is used to communicate among parents and young. The yodel is sounded by male loons guarding their territory. Unlike most birds, the loon has solid bones which give it more weight and reduce its buoyancy, making it easier to dive under the water. Come and enjoy a tour of Squam lake in the Lakes Region of New Hampshire with the Squam Lakes Natural Science Center and experience the Loons world. 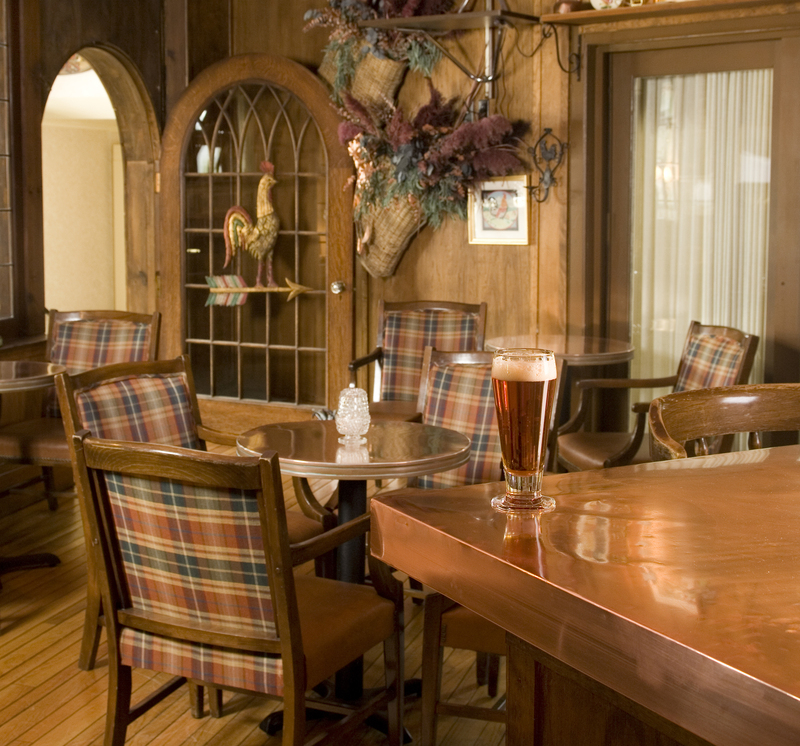 The Manor On Golden Pond can make those reservations for you to take a step back in time to a more peaceful setting. located right in the small town of Holderness. participants arriving to its docks on Squam Lake by ferry. much a homecoming for the director as the audience. a little chapel. What cultural event could be more inspiring? One of the most exciting ambassadors to the summer season in the Lakes Region is the return of the loons to their summer waters. Just as soon as the ice is gone from the lakes, this majestic bird flies in from its winter residence, the open ocean water, to grace the lakes with the beauty of their silhouettes at sunset and their haunting calls of the wild. 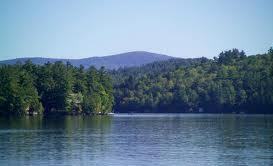 Situated just on a hill across the road from Squam Lake, our guests are always fascinated with hearing the loons. And for some travelers, especially our international visitors, it is a unique experience they savor as one of their favorite memories staying at the Manor on Golden Pond. Sitting in one of our adirondack chairs on the front lawn in the late afternoon or early evening is bliss listening to the loons as they define their boundaries or call to each other good night. It’s a ritual even local residents treasure as much as the mountains and fresh air. These large diving birds incubate their eggs in nests very close to the water beginning in May until about the first of July. Chicks are able to swim right after hatching but spend a lot of time ‘riding’ on the parent’s backs to keep warm and avoid predators such as snapping turtles and seagulls. They are built for swimming and diving but become quite clumsy on land with legs placed far back for optimum water maneuvering but a terrible strategy for getting around on terra firma. Loons spend their days resting in the water and diving for minnows, perch and other little fish so important to their diet. They need a great distance to take off from a lake ‘running’ on the surface into the wind. And at night, they will seek deep water to float over far from shore and the perils of ambush. Each year we watch for these magnificent birds as we watch the ice disappear on Squam Lake and wait for the explosion of spring and summer we know is stirring not long after their arrival. Happy Birthday to you, Happy Birthday to you, …. Everyone knows this popular song that is sung to celebrate a person’s birthday. But did you know that this song was written by sisters Patti Hill and Mildred J. Hill in 1893? Patti was a kindergarten teacher in Kentucky and she and her sister Mildred, a pianist and composer, composed the song, “Good Morning to All” which she sang to her class every morning. Apparently the sisters enjoyed their song so much they started to sing it at birthday parties and would change the words to “Happy Birthday to you” plus added a couple extra notes to the melody so the melody would fit the words of the song. Since the sisters never had the song copyrighted — it was finally copyrighted in 1935 by the Summy Company which had the publishing rights to the song book that the sisters wrote which included this popular song. The copyright for “Happy Birthday” will expire in the year 2030. Consequently royalties have to be paid if the song is song in any public event, movie, film or on the radio. The royalties can be upwards of $5000 per day to use this song in a public establishment. Ouch!! that would sure hurt to have to pay that. At the Manor On Golden Pond we won’t be singing Happy Birthday but we surely will treat our birthday guest with subtle but elegant treats and surprises. The surprises are just that and we don’t want to ruin the surprise by telling you. So you will have to come and experience a Manor birthday to find out. Just expect to be treated royalty as any birthday boy or girl should be treated. What about not telling them where they are going and make the whole stay a surprise for the guest. We are good at keeping secrets. Once you drive up the driveway the smile on their face will make your day. The cake is in the oven so let us know when you are coming!! !